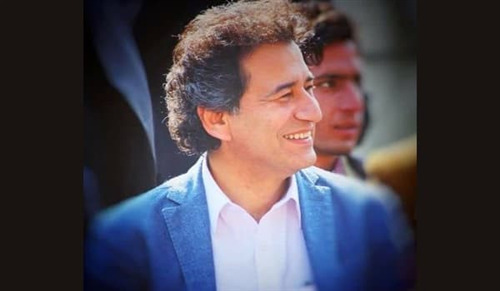 The tourism should be promoted at a large level in Pakistan and for this Federal Government should take help from Turkey, said Muhammad Atif Khan, Khyber Pakhtunkhwa Minister for Tourism and Youth Affairs. Pakistan is rich in its culture and attractions for tourists. There are many places which grab the attention of people from all over the world. Khan stresses on this matter greatly at the International Provincial Coordinate Committee’s Meeting. To make the tourism sector better and organized, the government wants international help. Turkey is very prominent for its tourism and its help will be very beneficial to improve the tourism sector of our country. Turkey can also invest in the province. With the global help, more sites including archaeological and historical sites in KPK will be restored. This province has many historical and cultural attractions for all. The government stresses more to promote these places and sites for tourism purposes. It will be a great benefit to the economy of this province and the country. Already some new destinations or locations have decided for this purposes. They are almost 20 in numbers. Plan and policies are to be formed about the development and proper management of these sites. The tourists will be facilitated in the province through the various services provided to them. Suleiman Mountain Range is also considered by the government to increase the tourism. Great potential and enthusiasm are founded in the province for the event of the hot air balloon with the help of Turkey. Many new policies are declared in the meeting including the new visa policy and Pak-Turkish exchange of travel operators. All these decisions and policies will have a very positive effect on the tourism of Pakistan as well as on Pak-Turkey relation.